Today ends our 3-day potato-themed food adventure. It was amazing learning where these potatoes came from and even more exciting knowing they’re as versatile and offers as much culinary possibilities as the other highly regarded cuisine ingredients. 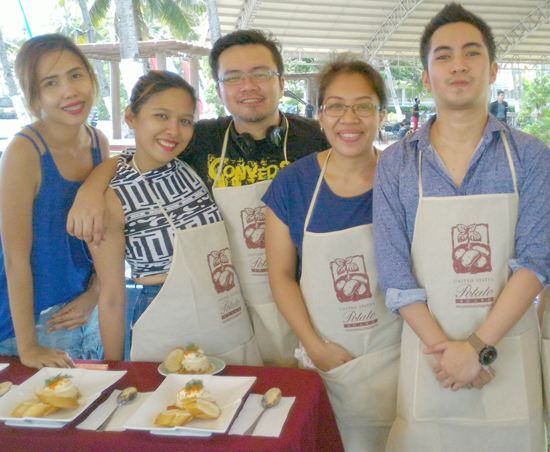 It was also a nice opportunity meeting the faces behind Manila food blogs. I hope they’ll come back to Davao soon. Today is also the day; we’ll show off what we’ve got on our windy food station, so please wish us luck. 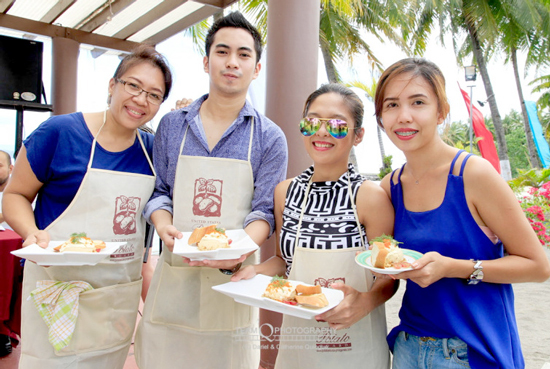 Originally, our team, The Davao Team, planned of putting up a rainbow dessert out of mashed potato. But then when we talked to Chef Sandy, he said, better go with potato breakfast. And so we did and honoured his suggestion, as I said, he’s the pro in this field after all. And so, we came up with this! We called this, Potato Asagohan or Potato Breakfast. To be honest, I’m no good at experimenting in the kitchen, so when this was planned I just played all ingredients in my head and not on the bowl, which was something like a no-no in the cooking world. Anyway, my cook-off partner, Con, a Chef himself said, it’s kind of viable. 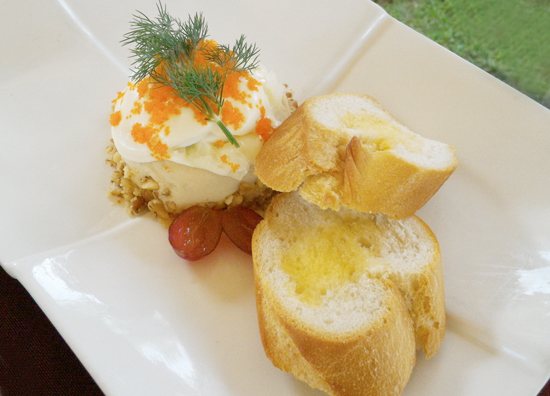 Mashed potatoes with cream cheese, milk and topping it off with tobiko, hence the name asagohan, will kind of work. He made few changes, consulted Chef Sandy and went to try it at home. The problem was, the potatoes available during the cook-off were the dehydrated kind, something Con was not prepared and used at. But he managed just fine along with his great ‘alalays’ - myself, Claudine and Sunshine on the side, LOL! And so after an hour of whipping, turning and wiping we made it in time without so much fuss and plated for four judges. In the end, our Potato Asagohan made a high score at presentation but didn’t make it far at other categories. But then again, in contests there are always winners and losers, we may belong to the latter, but hey! What mattered was, we pushed it 'till the end. It was my first time joining a cooking contest, and so was the two girls and it was a fun experience. 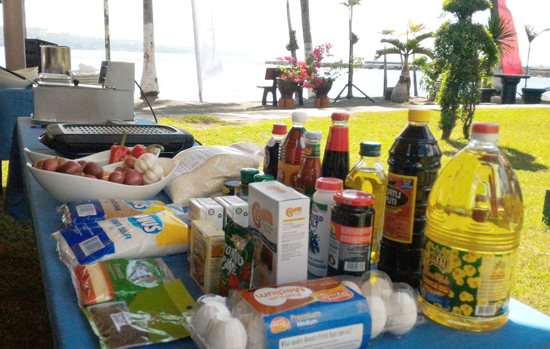 Thank you US Potato Board for bringing the US Potato Safari 3 to Davao City. Thank you too for inviting us. All the dishes presented here will be available on the respected restaurants on a special menu for a limited time next year. I hope you can visit all those restaurants and see how these lowly potatoes and their culinary possibilities can go a notch up when left in the capable hands of celebrated and seasoned Chefs in town. Thank you my dear readers for following my potato safari adventure, ‘till next time! Tata!